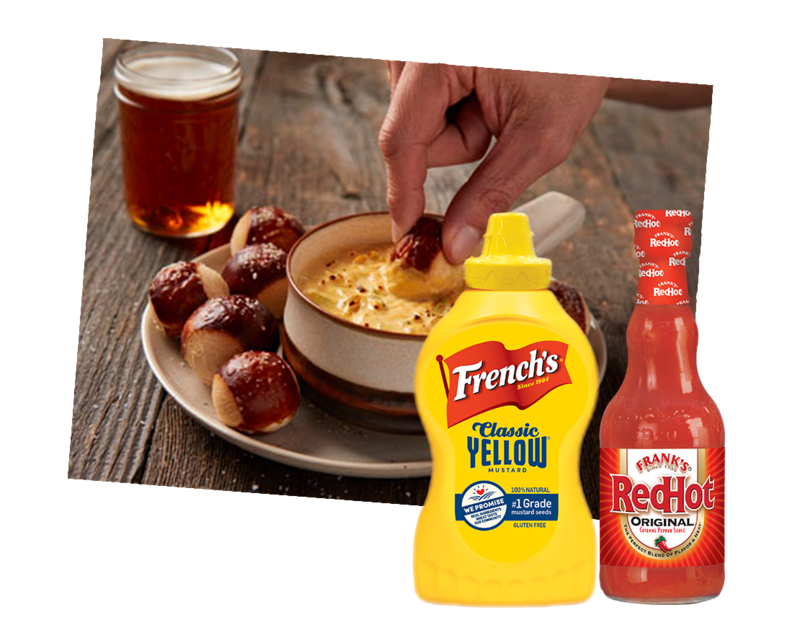 Combine the cream cheese, cheddar cheese, Frank's RedHot Original Cayenne Pepper Sauce, French's Classic Yellow Mustard, Worcestershire sauce and garlic powder in a microwave safe bowl. Microwave on high for 2-3 minutes, stirring once halfway, until smooth. Stir in the beer and spring onions until blended. Microwave for 1 minute or until hot. Serve with pretzels, pita or your desired dippers.